Checking the dimension of the pin head. Right on the money. Measurements of the corner rounding tool for GibbsCAM. 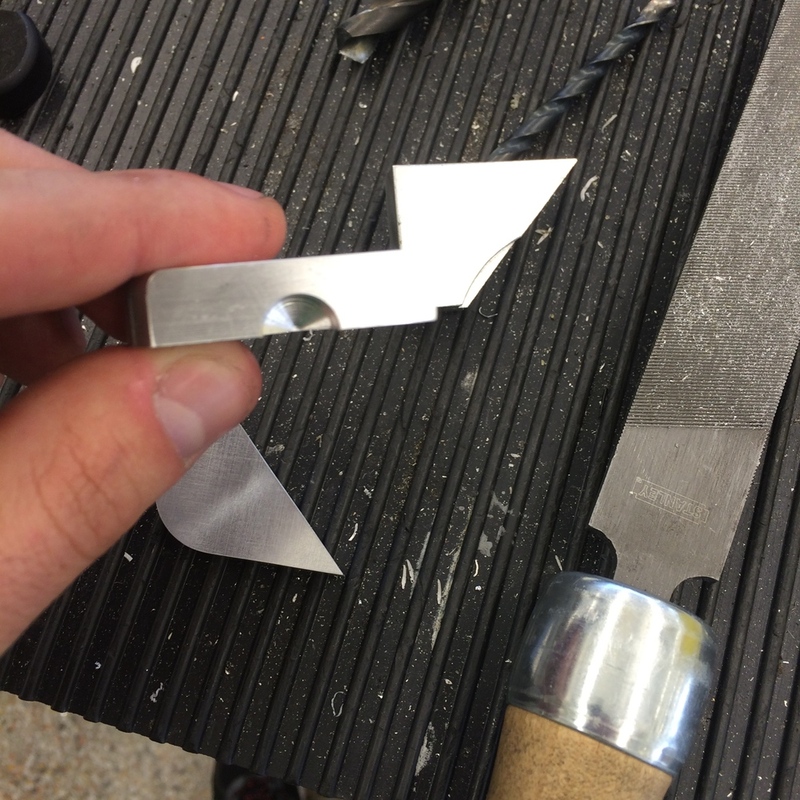 Testing the corner rounding operation on aluminum. It came out pretty well! Testing the barrel hole drilling operation. The barrel hole, complete. Much better finish than with the ball mill. Counterbored hole for the head of the pin. You can see a slight step from the corner rounding tool. I kind of like the way it looks though. Ready to machine the final product with copper. The results! Along with all the other various prototypes I made. Quick update or my locket project. The pin is complete, and to spec. I decided to try using a corner rounding tool to give the locket more refined appearance. They are notoriously difficult to setup in the CNC machine, so I did a test run on a plastic part and on 2 aluminum parts to make sure I got it right before machining into my expensive copper. I also tested the drilling operations on the barrel hole. I originally made this feature with a ballnose mill on the CNC, but the finish was very poor and I would have to ream it anyway to improve the finish. So I decided I might as well drill and ream it from the get-go. To do this, I simply clamped two pieces together in the vice, using a parallel bar over the top of the vice to keep the faces normal to the axis of the mill spindle. 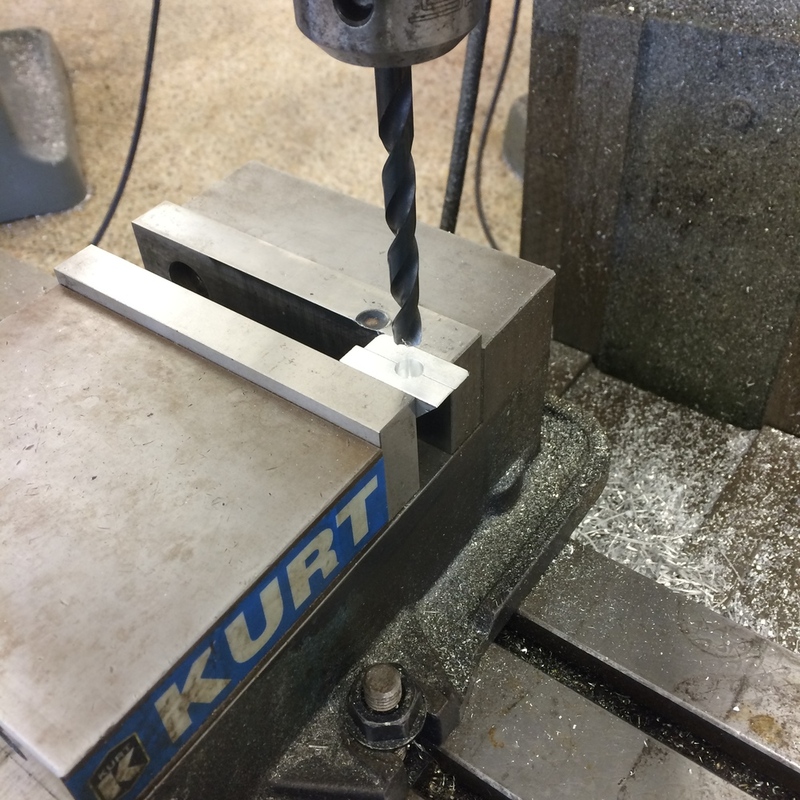 Then I used an edge finder to locate the hole locations and drilled, reamed and countersunk the holes. After confirming all of these things could be done, I decided I was ready to begin making the final product from my copper plate. The feeds and speeds for copper are very slow, and it took almost 2 hours just to make these four little parts. The quality of two of the parts was acceptable, however the other two had gouges in them from the .25" end mill. I think that it was caused by two of the parts being mirrors of the other. For some reason, when coming around the parts the other way, the end mill got sucked into the part, causing those gouges. I may need to remake two of those parts. Heart configuration. Magnets are attracted to each other, so the configuration is stable. Disassembly of the two halves reveals hidden pocket for a ring, note, etc. This is a present I plan on making for my girlfriend for Valentine's Day. It is a metal heart made of two halves that are connected with a dowel pin and magnets. When the two halves are arranged in the heart configuration, the magnets attract each other and so the configuration is stable. When you twist the halves apart, the halves take the form of an oval. With the magnets' positions switched, the halves repel each other, allowing the user to separate the halves and gain access to the secret pockets inside each half. The secret pockets can be used to small rings, a small note, etc. I've also decided to take advantage of the fact that our initials form a palindrome. If our initials are engraved a certain way on the two halves, on one side of the heart configuration the letters read "MD" (her initials) and on the other side the initials read "DM" (my initials). When rotated to the oval configuration, both sides are the same but are upside down relative to each other. So it reads "DM" or "MD" depending on how you look at it. I like to think of it as being symbolic of our partnership together. Manufacturing should be relatively simple. 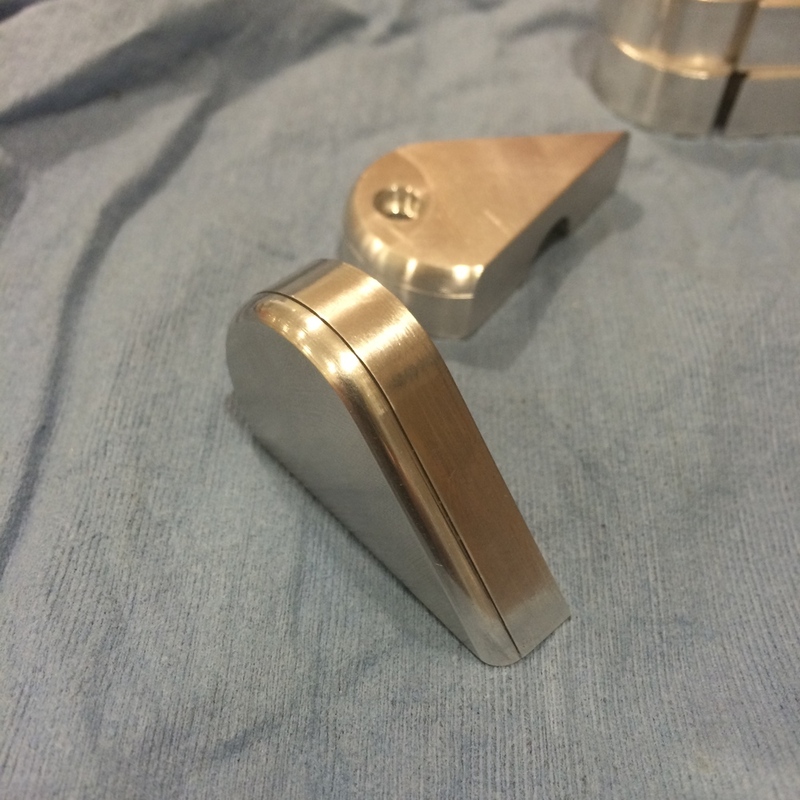 The two halves can be CNC'd out of bar stock. I made the angle on each half 45 deg so that any standard shop gauge block could be used to mount the middle face parallel to the table of the mill for drilling the holes and milling the slot. 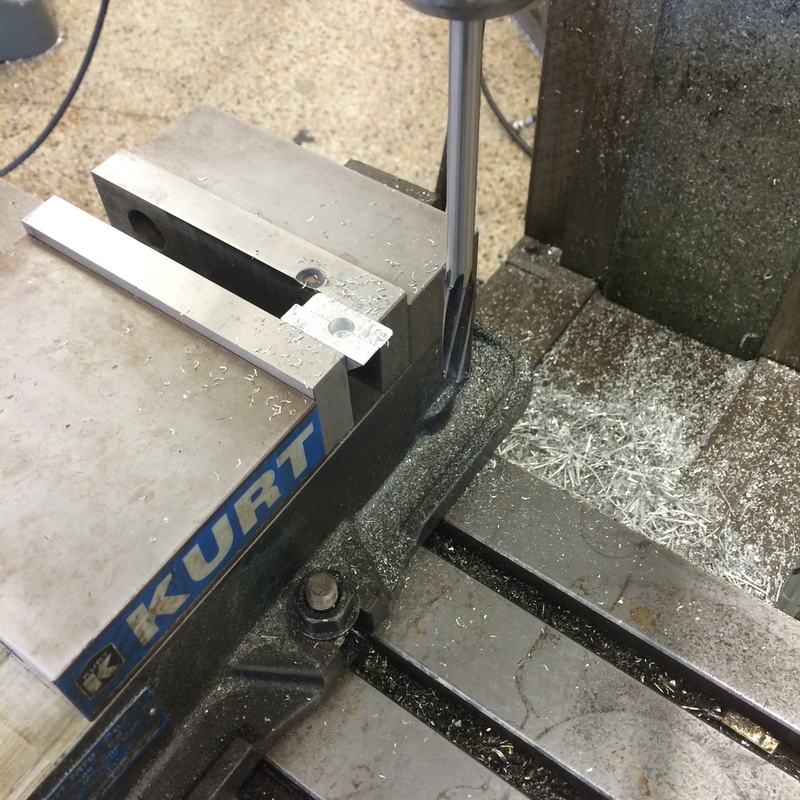 I plan to use a 1/8" steel dowel pin for the center pivot shaft which can be turned on the lathe. Adhesive backed neodymium magnets will be used for retention. 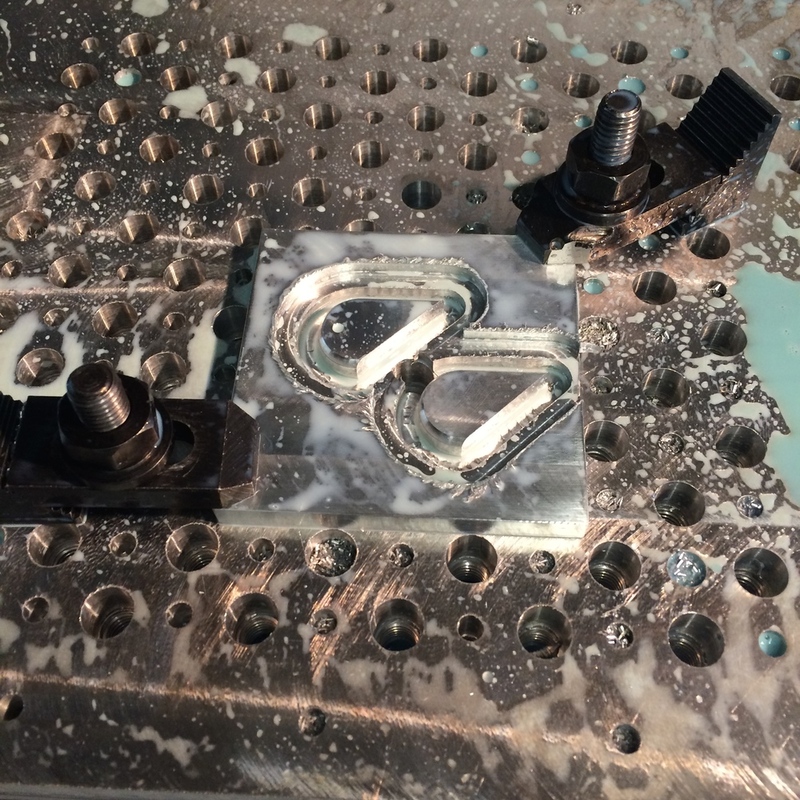 If I decide to do the engraving I will need to make some sort of fixture or jig for a flip milling operation on the reverse side of each half of the heart. Hopefully I can make a simple jig with some locating pins mounted on the mill table. Note: This design is inspired by an Instructable I remembered seeing a while back. The author of the Instructable credits the design to a scene from the movie "The Illusionist". As you can see, the locket in the movie has 2 additional hinges that allow the locket to swing open in both the oval and heart configuration. The "illusion" is that when you open the locket in one configuration, one person's image appears. But when you open the locket in the other configuration, the other person's image appears. And the baffling thing is, it's hard to understand how twisting the locket from the heart to the oval configuration doesn't rip the picture in half. This is a *greatly* simplified version where there really is no illusion. I will use this design as a starting point and hopefully be able to design a locket that has the full functionality as seen in the movie.